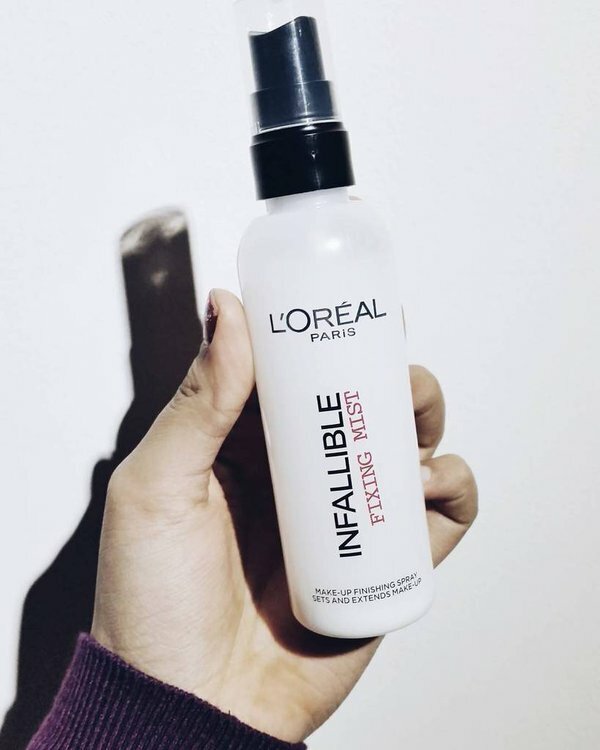 As soon as I saw this on L'Oreal's instagram I just had to go out and hunt it down, it must have all been planned because it was the last one in my local Superdrug! Keeping my makeup on all day is a challenge and I can't seem to find a primer that my skin likes so maybe a mist will work better. This is different to the other setting spray I have been using recently from Makeup Revolution as you really have to shake it and I mean shake it. One of the first times I use it, I didn't shake enough and there were a few white bits on my face. They came off super quickly but still a bit worrying. The next time around I remembered to shake shake and shake a lot more! Its a very thin and chalky liquid yet very powerful, it helps my makeup stay on all day. The biggest trial was at the clothes show I sprayed it 8am in the morning and removed my makeup at 10pm to my surprise it was all still intact! Overall, I am super impressed with this fixing mist and highly recommend you give it a go!